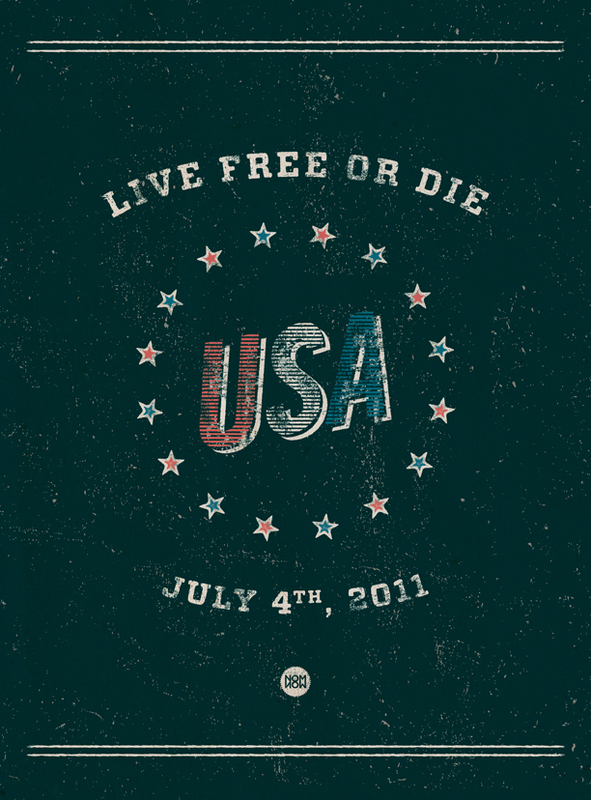 This entry was tagged 2011, 4th of July, american pride, americana, art, design, hand painted signage, illustration, July 4th, Live free or die, new hampshire, patriotism, Poster, red white and blue, slogan, state motto, USA. Bookmark the permalink. Hey Matt, aka person I met many moons ago…I saw your work on Dribble then came here. And gotta say, you are doing the dang thing! Great stuff…I especially like how you have a system going on with your posters. Beautious! That’s so strange because I saw you on Dribbble and wondered/hoped it was you, but wasn’t sure if it was or not. I love your stuff so much, you are killing it! I feel like I sort of remember you doing design, or at least some form of art, but I had no idea you were as prominent in the field in this area as you are, but that’s really awesome. I definitely have some questions for you, but not sure if the easiest way of conversation is through this comment. But very glad you made this connection better than I did, and I will for sure be hawking your work.